It's coming back for 2019! We’re excited to announce that the 3rd Waitetuna Trail Run will be run on November 23rd 2019. Without the support of our generous sponsors, this event wouldn’t be possible. Please show your appreciation by giving them your custom when the need arises. We’re excited to announce that the 3rd Waitetuna Trail Run will be run on November 23rd 2019. 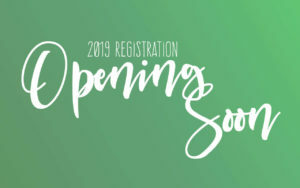 Registration for the 2019 run will be opening on May 1st. Sign up to our mailing list to get an alert to your inbox when registration is open. 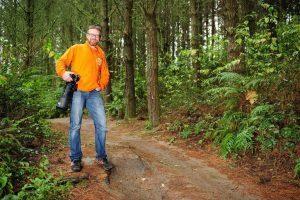 The event includes three trail lengths, 21km, which will see you pass through some of the Te Uku wind turbines, 10km, and 5 km. 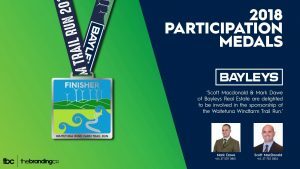 Every finisher will receive a stunning medal signifying the local area. This event is held on private farm land, not usually open to the public. The terrain, in places, is tough but also offers stunning views from the top of the 21km track of the Raglan harbour and bar. 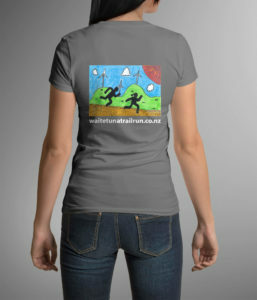 All proceeds go towards improvements and additions to Waitetuna School. This will be a truly unique community event that we hope to build on in years to come. We are truly grateful to the Ormond family for the opportunity to run through their stunning landscape.